China Sounds Real Bugle Ahead Of The Prime Minister Modi’s Second Trip In As Many Months: Ahead of Indian PM’s second trip to China in as many as months Beijing has sounded real bugle and welcomed Narendra Modi’s Shangrila Dialogue speech in Singapore where he said that the two countries had shown maturity and wisdom in resolving issues and ensuring a peaceful border. Terming Modi’s remarks as “positive,” the Chinese Foreign Ministry on Monday stated it “highly appreciated” the “positive remarks” by the Indian PM. The Chinese Foreign Ministry also Wuhan Summit and noted that the two leaders exchanged views in international landscape and bilateral relations and reached consensus on many issues. 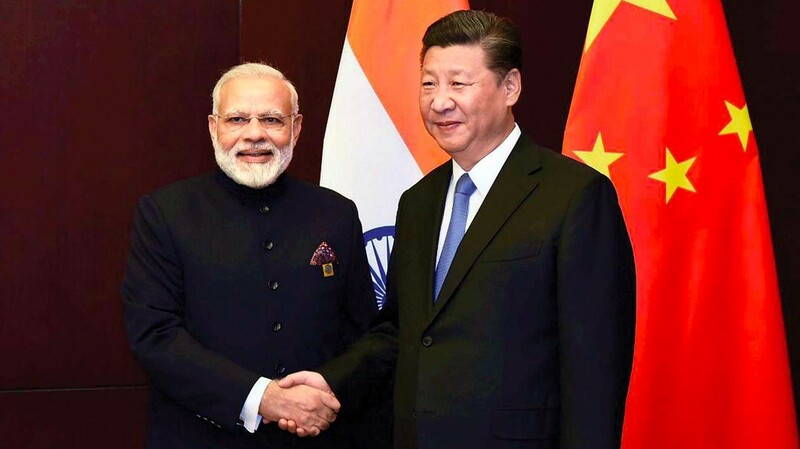 The two sides are holding a preparatory meeting in Delhi on Tuesday and Wednesday ahead of Modi-Xi meet on June 9 on sidelines of the SCO Summit as both are keen to push the economic envelope and maintain stability along the Line of Actual Control this summer. Trade protectionism issues caused by US decision and bilateral trade & investment problems could figure on the agenda of the Modi Xi meeting. We have noted the positive remark made by Modi on the China-India relations. We highly appreciate it. In April this year, Xi holds an informal meeting with Modi. They have in-depth exchange of views in the international landscape and bilateral relations and reaches consensus on many issues. Chinese Foreign Ministry spokesperson Hua Chunying says. On delivers the keynote address at Shangri-La Dialogue in Singapore last Friday. Prime Minister Modi had said, No other relationship of India has as many layers as our relations with China. We are the world’s two most populous countries and among the fastest growing major economies. Our cooperation is expanding. Trade is growing. And, we have displayed maturity and wisdom in managing issues and ensuring a peaceful border. In April, a two-day informal Summit with President Xi helped us cement our understanding that secure and stable relations between our two nations which are an essential factor for the global peace and progress. I firmly believe that Asia and the world will have a better future when the India and China were working together in trust and confidence, that is sensitive to each other’s interests. The Prime Minister while subtly highlighting challenges emanating from BRI and China’s ambitions at his Shangrila speech also made it clear that Delhi desires a whole Indo-Pacific region where all powers are present amid a non-bloc security architecture. The two sides agree to adopt a mature and wise way to handle differences. China is willing to works with the Indian team to maintaining the positive momentum of the development of bilateral relations to promotes mutually beneficial cooperation, properly handle differences and keep peace and tranquillity along the border areas. It takes India-China relations forward, Hua noted. Delhi and Beijing are also exploring ways to navigate challenges posed by American trade protectionist policies. At the BRICS Foreign Ministers meet on Monday in Johannesburg, the BRICS states emphasized they oppose the “new wave of protectionism” and the systematic impact of unilateral measures that are incompatible with WTO rules, apparently referring to US President Donald Trump’s robust trade policies. The participating ministers reaffirmed their resolve to foster a global economic governance architecture that is more effective and reflective of a recent Global Economic Landscape. Increases the voice and representation of emerging markets and developing economies, it said. Foreign Minister Sushma Swaraj on her part underlined that multilateralism, international trade, and rules-based world order was facing “strong headwinds” as she called for joint action by the BRICS nations against money laundering, terrorist-financing, and de-radicalization. Though the global growth has exhibited signs of recovery, the challenges to long-term growth continue to persist. Ensuring that the benefits of globalization are sharing wide remains a challenge, Sushma is adding. The other foreign ministers attending the meeting were China’s Wang Yi, South Africa’s Lindiwe Sisulu, Brazil’s Marcos Bezerra Abbott Galvao and Russia’s Sergey Lavrov. Swaraj and her Chinese counterpart Wang Yi met on sidelines of BRICS meet and discussed ways to maintain momentum in bilateral ties. So, these are the points to describe on China sounds real bugle ahead of the Prime Minister Modi’s second trip in as many months.